Before the Erin Fetherston collection made its way on the catwalk, the concept of universality took centre-stage with a poetic phrase in her show notes, ‘We are all, foremost, citizens of the world, and we are stronger together.’ Fetherston claimed she wasn’t being political, simply reminding people that she cherished her experiences travelling around the world. Nevertheless, in these times, it wasn’t a big step to connect these words to her own country’s tumultuous times with Donald Trump in the White House and his travel ban on certain Muslim-majority countries. 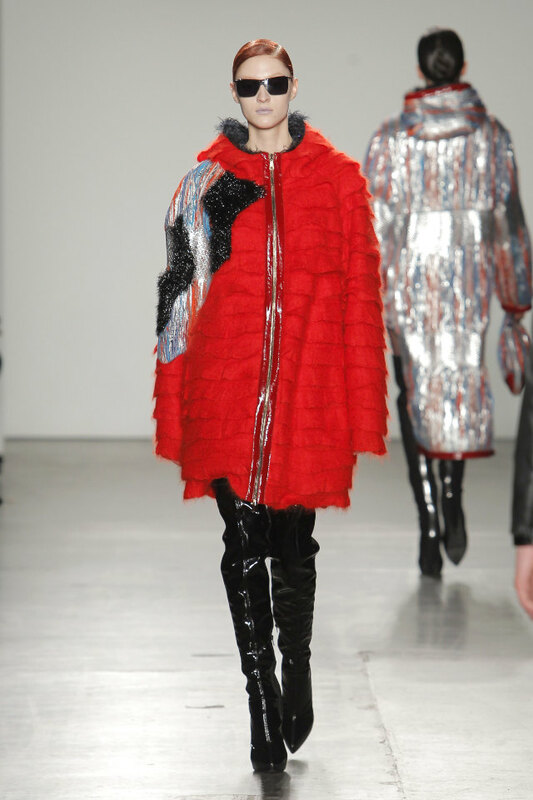 The collection itself emphasized simplicity with a retro feel: a basic drape or toss of a scarf around the neck accentuated the looks; Fetherston showed bellowing dresses as well as ruffles and fringes. 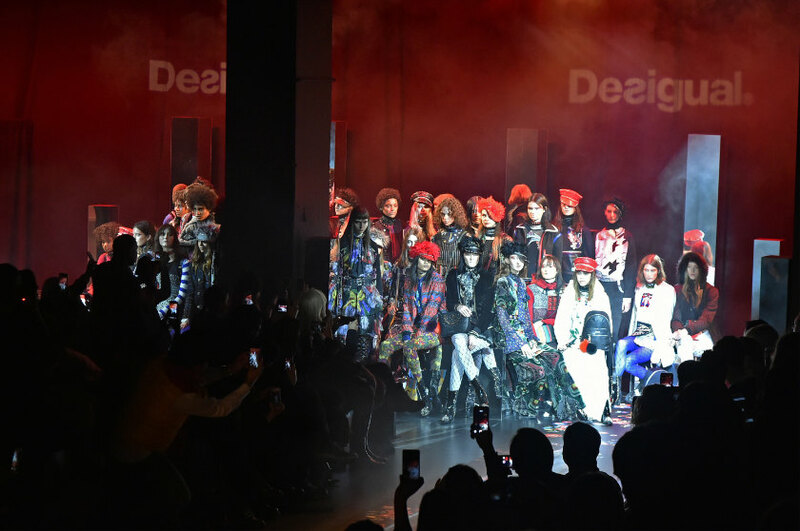 Desigual’s autumn–winter 2017–18 collection is based on the female rebellion of the ’60s, ’70s and ’80s and how they relate to women of today. 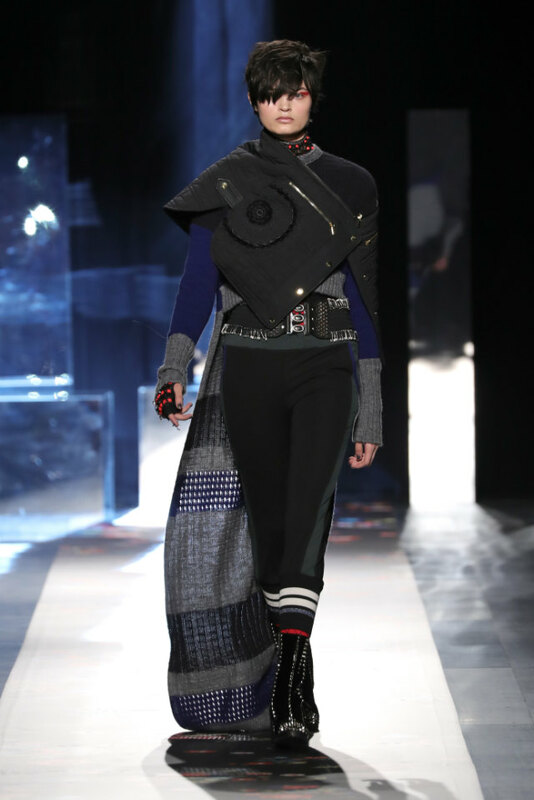 Daring, audacious prints, pom-poms and studs gave a sense of defiance and mystery on the catwalk. 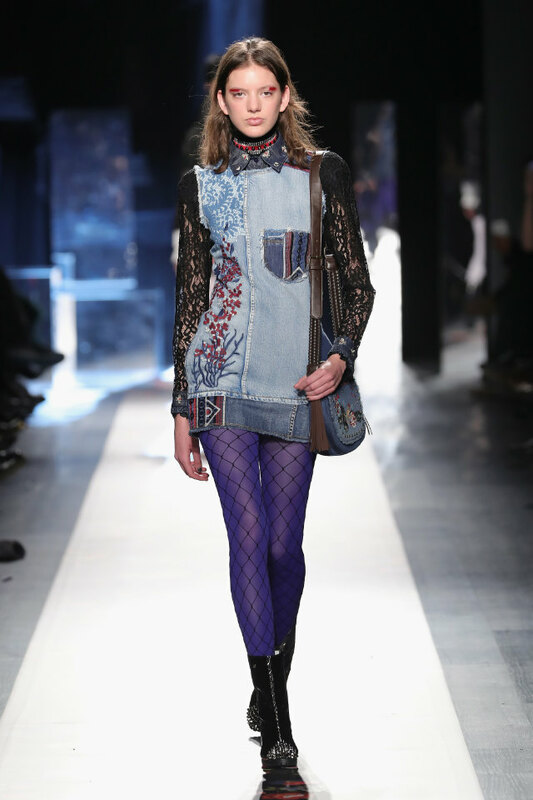 A traditional chemise with a two-piece high stand collar spread, ankle-length pants with revealing fishnet tights as well as a choker necklace and ankle-high studded boots make fashion statements that Desigual is shying away from convention and attracting onlookers. 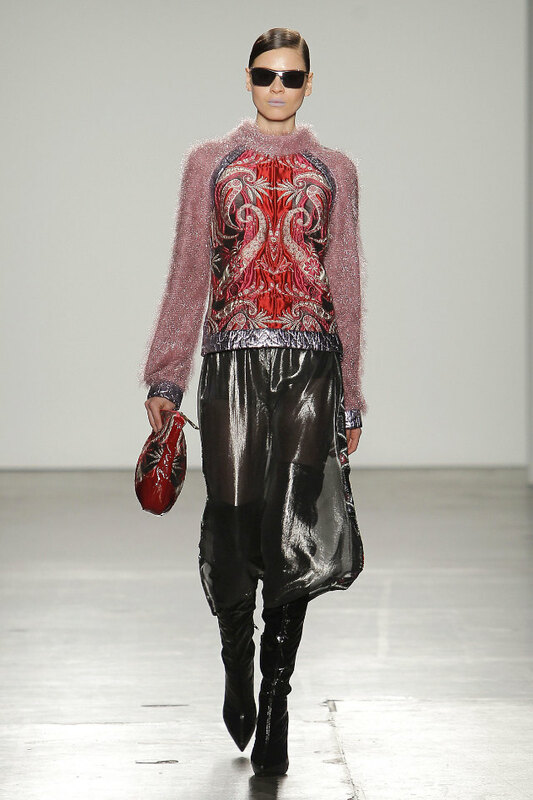 The Custo Barcelona collection, entitled Light Years, is all about scintillating hues on seductive pieces. The Custo Barcelona woman is not afraid to reveal her sensuous self, while the Custo Barcelona man defies the conventional look. Designer Custo Dalmau took basic dresses to the next level, with ingenuity and innovation. Custo’s autumn–winter 2017–18 season is all about vivacious colours and innovative prints. A shimmering silver deep-V-neck mini-dress with leg-o’-mutton sleeves was flirtatious and enticing. A one-shouldered asymmetrical seamed dress flaunted even more skin. 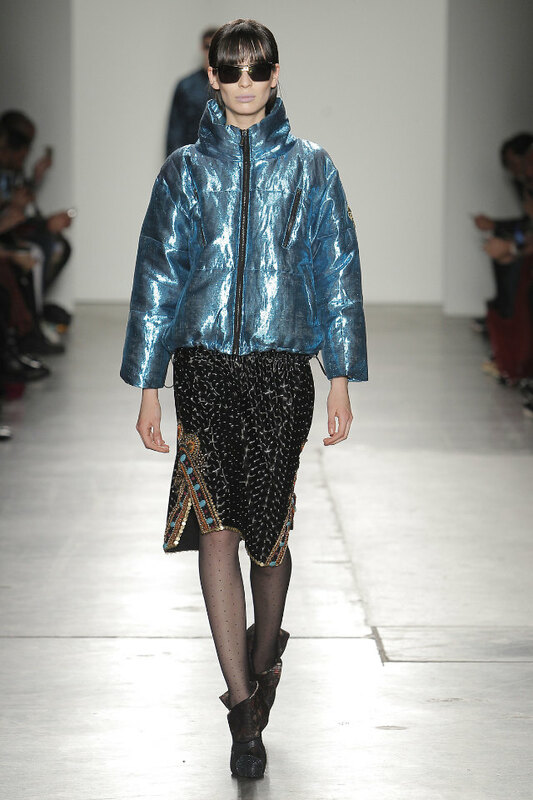 The collection’s jackets and coats are just as captivating. 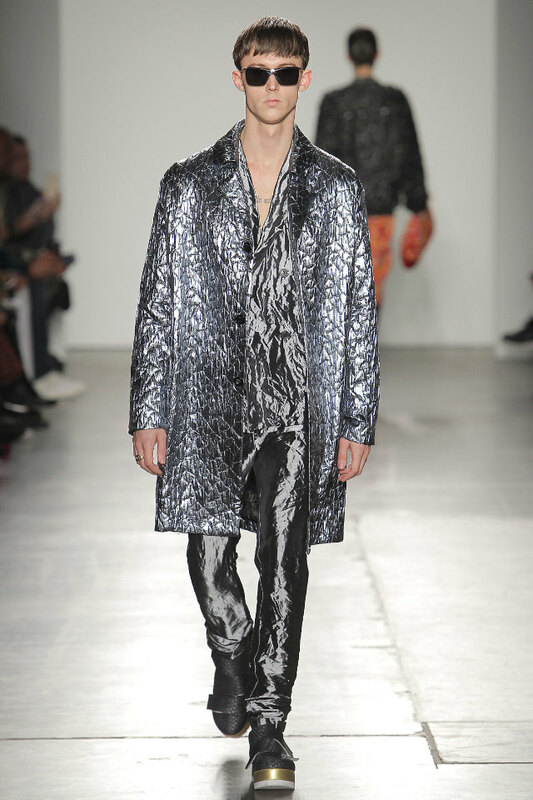 As usual, Custo Dalmau introduced his latest collection in an upbeat setting, blending originality with modernity. Kate Spade’s collection at the Russian Tea Room, under the clear crystal chandeliers and a bright red backdrop, explored the glamour of Paris in the 1920s, influenced by icons such as Louise Brooks and Josephine Baker, and Le Coquelicot. Brooks and Baker emerged as liberated female figures with their bold looks and stunning personalities. Le Coquelicot, French for The Corn Poppy, is a 1919 Fauvist painting by Kees van Dongen, featuring a colourful, wide-eyed woman, with a slightly eerie, garish appearance, and a thin frame which we might associate with the flappers of the decade to come. The brand’s chief creative officer, Deborah Lloyd, presented statement pieces. Feminine and highly romantic ensembles were the centre of attention from beautifully fitted tops, chic skirts and bold accessories. Spade’s prints worked well together: an elegant skirt with floral elements, a stylish fur collared leopard print jacket and dotted tights. 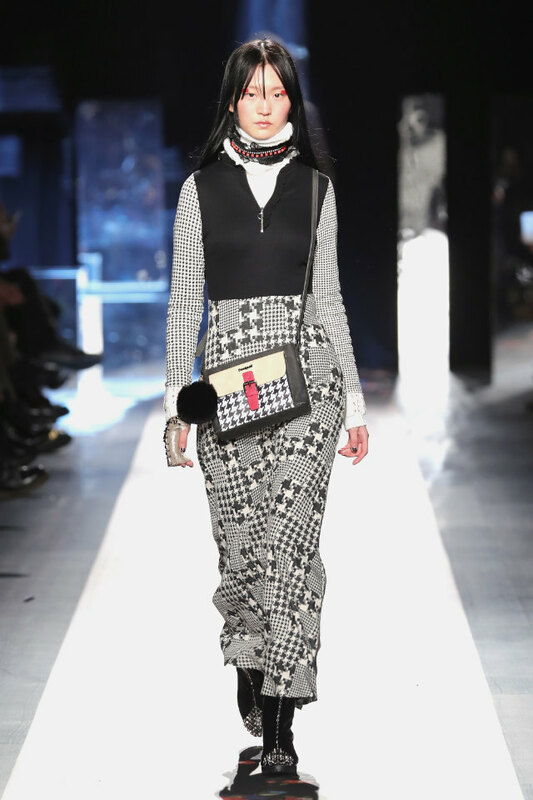 For a more conventional look, Spade showed a white high-collared top with a cascade design, a bright red cape with intricately colourful floral décor, and a pair of ankle jeans with a European-like elegance. Spade’s collection was all about independent women prepared to tackle the world with their sense of fashion.